A Bargello Quilt completed after a Class with Klara Raspor called, "In the Wind". 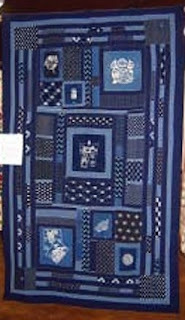 A One Block Wonder quilt called, "Happy". 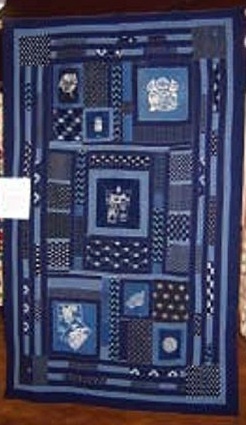 A modified Log Cabin Medallion Quilt completed after s class with Kim Bowman. am happy to be the first one to comment and to congratulate you on your own blog! Keep the updates coming as we are looking forward to visit your blog regularly to learn about all your latest endeavors.